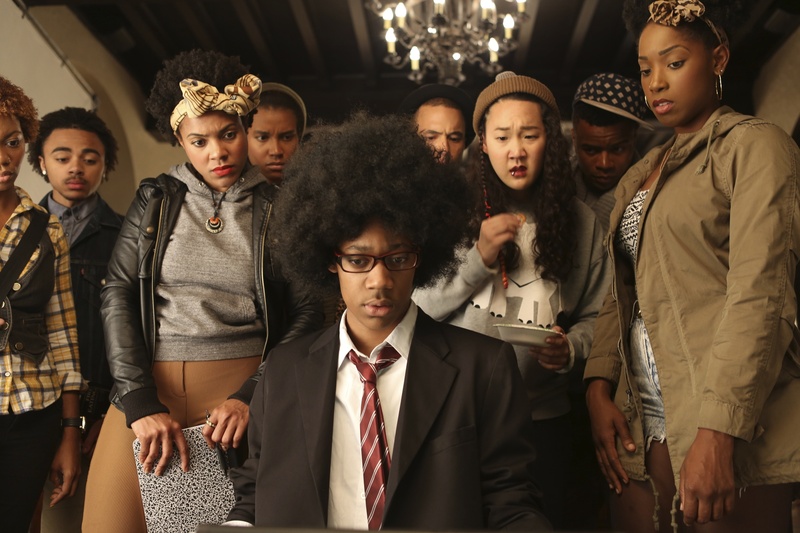 social media | The Precocious Urchin Co.
DEAR WHITE PEOPLE (2014) has been hailed by critics as one of the most important films about college life to date. Its characters are all obsessed with social media as an indicator of academic and professional success. Should applicants give in to the obsession, or is resistance worthwhile? When I applied to college in 2001, admissions counselors suggested that applicants who had any experience, however rudimentary, with building their own websites or online profiles would be at a major advantage over those without a discernible web presence. In that pre-Facebook, pre-WordPress age, what a search engine’s results revealed about you was secondary in importance to it revealing anything at all. Admissions committees and job hiring managers were still deciding the extent to which individuals should be held responsible for what was discovered about them online. So, in those somewhat more innocent times, it was impressive just to have a Xanga, to have “experimented with some HTML,” and to have been cited as the winner of a nebulous award on your school’s website. Now if an admitted college applicant or new job hire writes one ill-advised Tweet out of over 20,000, her offer can be rescinded. If she’s written over 200,000 entirely positive Tweets, she might even be denied an offer on the grounds that she seems to spend too much time on her mobile phone. Scrutiny of applicants’ online presences is only intensifying: This year, 31% of 381 surveyed college admissions officers reported that they visit applicants’ social media pages to learn more about them, while 30% of those surveyed said that they’d used social media to discover information about applicants deleterious to their admissions prospects. Hiring managers and HR departments are following suit by routinely unveiling details from applicants’ distant pasts to assess their present interests and capabilities. In short, those photographs of you passed out drunk on your dorm’s bathroom floor in 2005, which you don’t remember being posted, might influence your employers’ assessment of your leadership abilities in 2015. What to do with this universe where The Powers That Be are literally searching for your damnation? Optimize your LinkedIn profile for Google. Make your Facebook profile less optimal for Google. Use multiple search phrases and terms to Google yourself. If you see anything that generates instant mortification for you, try to have it edited or removed completely. Develop a highly distinctive LinkedIn profile – one with a narrative so engaging that employers will probably lose themselves in it too long to bother digging further for your Facebook page. Micromanage your privacy settings. They seem to change frequently without our consent, don’t they? Ask a member of the communities (i.e., school or workplace) where you’re trying to gain a seat to review your social media against the spoken and unspoken standards of their communities. Document your admissions efforts and job hunts in your mind and in voice conversations with friends and family. Keep it off social media. If you expect admissions committees and hiring managers or HR departments to search for your social media profiles, make it clear in your applications which profiles are yours. That way, The Powers That Be won’t confuse you with someone else who shares your name and some of your personal attributes. Don’t panic if it appears that you can’t keep your personal life under wraps as much as you’d like. Ultimately, you’ll do well not to work with people who value your façade much more than they do your reality, and appearances can only be kept up for so long anyway. b) Creating your own low-budget social media universe. How impressed would adcoms be if while they’re Googling for your dirt on social media, they find that you’ve planted your own garden there (like Voltaire told you to do)? Lastly, if you need assistance preparing your social media for admissions efforts of any kind, please write me at robinson.ramon@gmail.com. My rates are reasonable and I offer service year around.